Lance Armstrong has reportedly gone to Oprah to come clean on his use of doping to win his seven Tour de France titles — sort of. 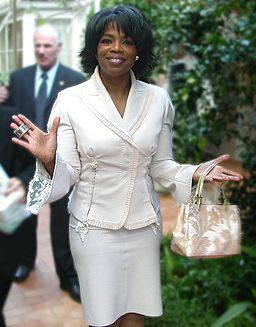 Oprah says that he admitted to the use of the drugs but not quite as fully as she wanted. The admission is clearly calculated to allow Armstrong to compete in triathlons. However, there are an array of lawsuits facing Armstrong that raise some interesting questions. Armstrong, 41, is banned for life from cycling and cannot compete in athletic events sanctioned by the U.S. Anti-Doping Agency and the World Anti-Doping Agency. He repeatedly and passionately denied doping for years — attacking those who raised such allegations. Now, the Justice Department is moving to join a federal whistle-blower lawsuit filed by former Armstrong teammate Floyd Landis. He is also being sued by a Dallas-based promotions company for bonuses that he received for winning the Tour de France. The most interesting is a lawsuit by the British newspaper The Sunday Times to recover $500,000 paid to him to settle a libel lawsuit. In a rare twist, the newspaper took out an advertisement suggesting questions to Oprah to ask Armstrong — questions that would clearly help it in its own lawsuit. The Brits clearly do not know that only Obama speaks directly to Oprah and Oprah only speaks directly to God. 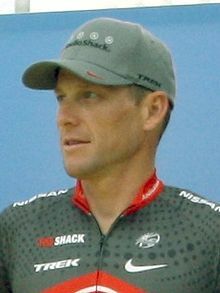 Armstrong sued the Sunday Times and two of its reporters for an article in 2004 alluding doping. The newspaper reportedly settled for $1 million. In England, there are cases for such lawsuit to recover prior settlements. In the United States, it would be extremely difficult since the parties reached a voluntary agreement rather than litigate the truth of the matter. The admissions by Armstrong therefore are quite risky. Oprah can give absolution but not protection from such lawsuits. Competing in triathlons would not appear to justify the risk. Dave Zirin… on Democracy Now! this morning.